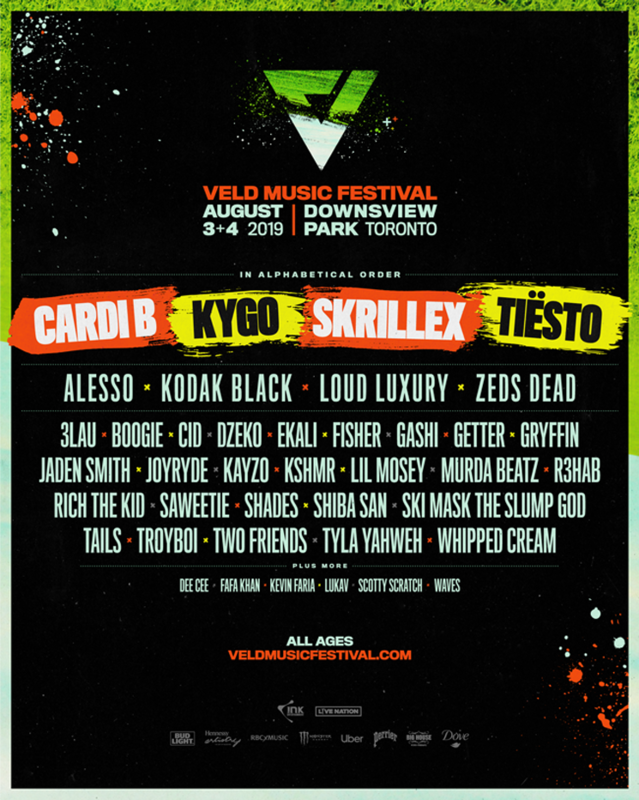 VELD Festival will return to Toronto this summer, and the first phase of performers has been announced. Leading the 2019 lineup are Cardi B, Kygo, Skrillex, Tiësto, Alesso, Kodak Black, Loud Luxury and Zeds Dead. Rounding out the first wave of artist announcements are 3Lau, Boogie, CID, Dzeko, Ekali, Fisher, Gashi, Getter, Gryffin, Jaden Smith, Joyryde, Kayzo, Kshmr, Lil Mosey, Murda Beatz, R3hab, Rich the Kid, Saweetie, Shades, Shiba San, Ski Mask the Slump God, Tails, Troyboi, Two Friends, Tyla Yahweh and Whipped Cream. The all-ages festival will be held at Downsview Park over the course of August 3 and 4. Tickets for VELD go on sale to the general public this Thursday (March 21) at 10 a.m. EDT. DJ Tiësto Calls Vinyl Records "Outdated" and "A Nightmare"